In the beginning (1914) … a group of ‘Marshside Gentlemen’ of similar persuasion, some being members of the Hesketh Golf Club, decided to form their own Society at the newly built 9-hole Municipal Golf Course and call it ‘The Park Golf Club’. By 1917 they had become well established and elected a Committee of twelve men. Mr James Yates became the 1st President: he was succeeded by his son (James Jnr) – between them the saw 63 years of gradual improvements. In 1936 the Club moved from the original pavilion into a room at the new ‘Whitehouse’ building until they acquired the cedar timber building which is still an important part of the existing Club. Dr David Marsh of the PGA opened the existing two storey building in 1980. This was enhanced in later years with a new kitchen, porch, Invalid and Ladies toilet. Mr Ted Moule, assisted by Mr George Carter, developed a very successful Junior Section. Notably George was the World’s Amputee Golf Champion on many occasions. The Junior section went on to provide 20+ young men who now have become Professionals. We are proud of the fact that Lee Slattery, Mathew Baldwin and Tommy Fleetwood came from their ranks (Tommy has been Scottish Amateur Champion, English Amateur Champion and represented England in the Walker Cup). Today Les Lucas and John Murray carry on the tradition. Over the years there have been some true stalwarts of the club who have made it what it is today. 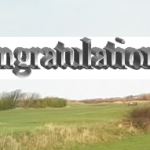 Special thanks to: Mike Fletcher who has raised many thousands of pounds with his annual charity day, our President, Mr Alan Curry, who has worked endlessly to further our club, Mr Park Golf Club himself, Mr Peter Devereux who worked non-stop for our Club until he handed over to our current Secretary [Bill Janvier] in February 2015. Other notable members who support/ed and help/ed the Club to develop are James Yates Jnr., Bill Sutton, Derek Teale, Harry Kelly, Ronnie Whiteside, Peter Dobson, Jack Carr, John Turner, Peter Sewell, Dave Wright, Ken Wright, Les Lucas, Ted Moule, Ritchie Ball, Joe Hopkins and our 12 Founder Members: J Yeates, J Bradshaw, E Howell, S Gerrard, J Barraclough, HP Griffiths, EV Jenkins, T Roberts, R Quinney, JL Pennington, AF Mackinnon and A Lowe. 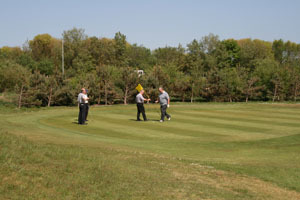 Park Golf Club Is a Small Private Club with a big heart, we are continually looking for new members to join our happy throng of players We have no joining fee, just an annual subscription. Why not take advantage of our latest offer – 2 Years membership for the price of one!! 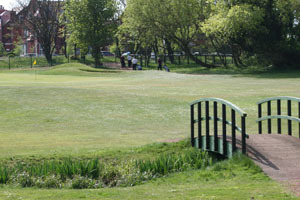 We are members of the Sefton Sports Council whose objective is the advancement of sport throughout Sefton. The Council helps to liaise with the various authorities in representing the interests of all its affiliated members. This means that the various organisations have a joint voice which tends to get things moving where a single voice gets lost.